On Tuesday a friend asked me if I want to join them with her kids to the Charlie Safari, an indoor play area for the kids. Since we don't have things to do and it was a little bit nippy to go to the park, we decided to go. Our girls were very happy that they will have a play date with their friends. This friend of mine also have two kids the same age as our DD1 and DD2, and her eldest is DD1's classmate in preschool as well. Since our DD1 is already 5 years old, she no longer belong to the tykes who can only play at the Tyke Village, which is $5+ entrance fee. She pays $9+ and plays at all the areas. 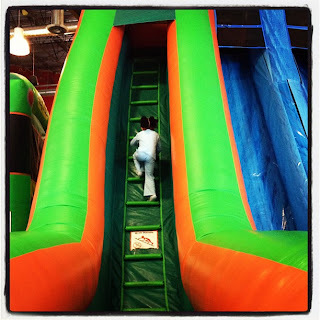 Our DD2, although belongs to the tykes, she wants to join her sister to slide and bounce in the big kids' areas. She is very fearless. The slide above was really high for age, but she climbed and sled like she is a big girl. I just waited at the foot of the slide and took her pic. On the other hand, our DD1 is now becoming more and more daring. She love to try the different heights of slides and can climb without any help. When she was DD2's age I have to climb and slide with her. I am glad that her confidence level is starting to level up. She dares more obstacles now and is excited with her accomplishments every time. She's a trouper :D good job to your girls mami bless. those are really fun bouncy playgrounds for kids. would love to take my kids to one of it this days :) doing my bpc rounds. awww! what athletic girls you have Momi Bless :-) DD2 looks so cute sliding weeeeeeeeeeeeeeeeeeeeeeeeee Dropping by from BPC. Kids and that jumping thingy. I may have to try this next time mama. Si kiko perti jud ani sugod nalang di mouli. Good job to your girls! BPC hopping. way to go girls!!! they sure are daring now! mahal diay entrance noh??? hehehe... late bpc hop here. Aweeeee! Kalingaw sa bata oi! Makapil ko ngisi kay ma-imagine naku how much fun the DD was having! 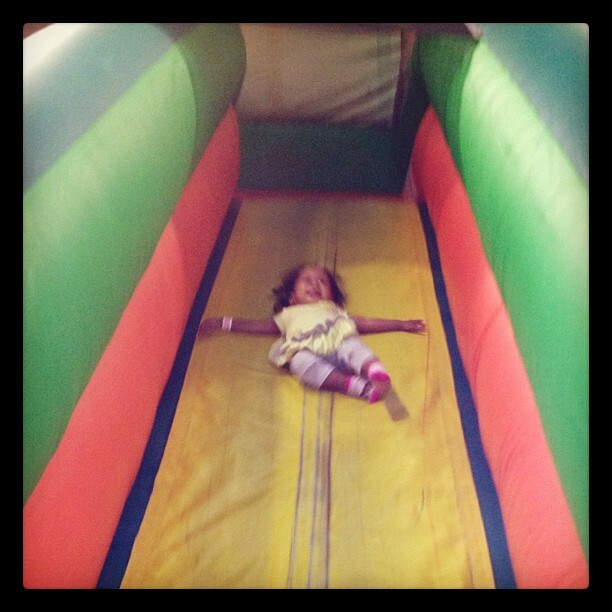 :D That's always a fun place for kids jud ba.